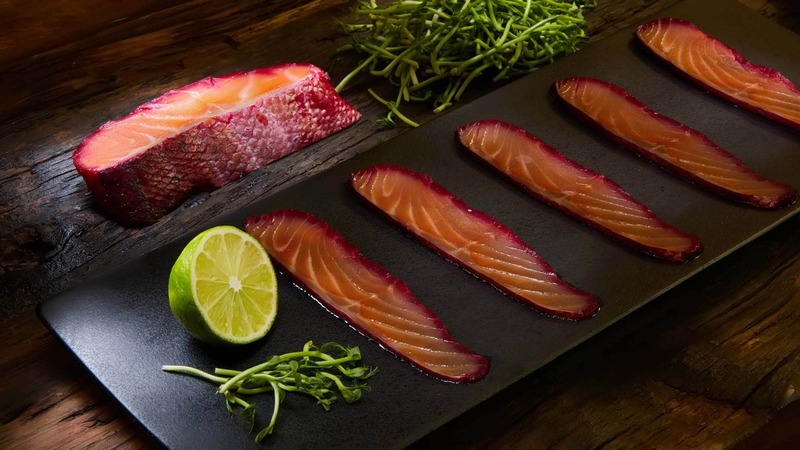 In 1992 Scottish salmon was the first non-French and first fish type ever to gain the Label Rouge seal of quality, which guarantees excellence in quality and taste! Strict standards and specifications must be fulfilled in order to receive this seal of quality; factors such as traceability from the farm to the shop counter, environmental and animal issues and lesser stock density in cages. The result is excellent and perfect for customers looking for a gourmet product. Since 2014, we have also been able to source Label Rouge salmon from Norway. Thanks to an excellent cooperation with our Norwegian partner company, Pure Norwegian Seafood, we are proud to be able to sell this quality product exclusively in Germany!